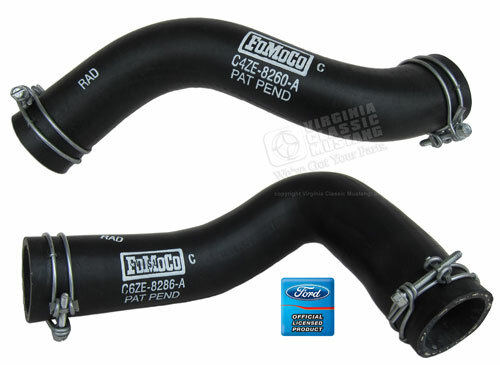 We just got in a new set of hoses that a lot of 66 GT350 owners have been asking for. Our part number is EG-4771. A special experiment began for the 1966 model year at Ford Motor Company. A test was underway to determine if a new assembly line method would help speed up production. This test, at the Dearborn and San Jose assembly plants consisted of attaching clamps to the radiator hoses to save the assemblers time. 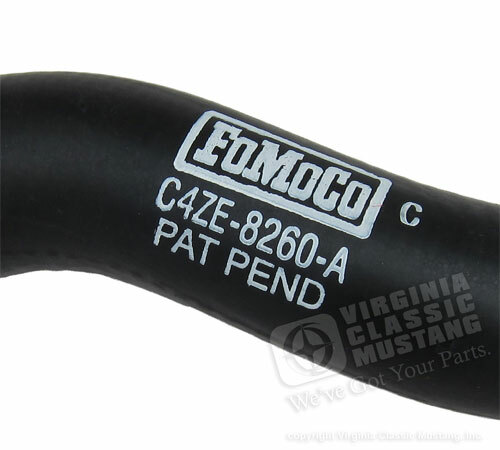 Note the "Pat Pend" stamp on the hoses. 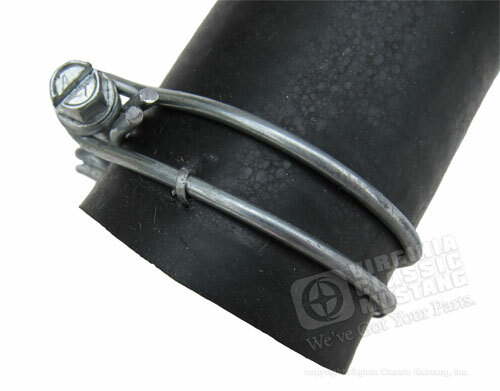 Virtually all mid to late production Shelby GT350s should have this style of hose, along with most other 289 Mustangs.